So I’ve decided to create a blog for myself and for anyone who may be interested in reading about my life and experiences on the professional tennis tour (ATP World Tour and ITF Pro Circuit). I will do my best to keep the blog posts interesting to readers and for anyone who is interested in getting an insight into the life of a professional athlete. I’m sure I will be making many changes with the blog as time goes by and I would also love to hear your feedback. Please bear with me if I make spelling errors or make some mistakes with it, this will certainly be a work in progress! This blog is primarily for Irish Tennis Players- junior players, those who want to turn pro, the parents of young tennis players, recreational tennis players, coaches and also for those of you who are simply not in the tennis “bubble” and want to learn more about it. It is also for people who have an interest in my career and want to read about what I get up to most of the time! I’m not sure how many people this blog will reach but I will be more than happy if it reaches those of you in the Irish Tennis community who care about tennis in Ireland and who care about getting better. If sharing my insight from the tour helps you in any way or at least provides a little entertainment, then that’s good enough for me! Along with sharing stories about what I’ve learnt already since turning pro, I will also write while I am out on the road at tournaments competing. For me personally, I have found it difficult to find an outlet while on the road competing at foreign tournaments. Hopefully writing a blog will provide a little more balance in my life. Probably not though as the blog is all about tennis too! 🙂 Let’s wait and see.. Please follow me on Twitter @jamesmcgee01 and tweet me if you have questions or comments. *My priority is obviously my tennis and my training so I won’t be blogging a huge amount but I think one blog post every 2-3 weeks shouldn’t be too hard. 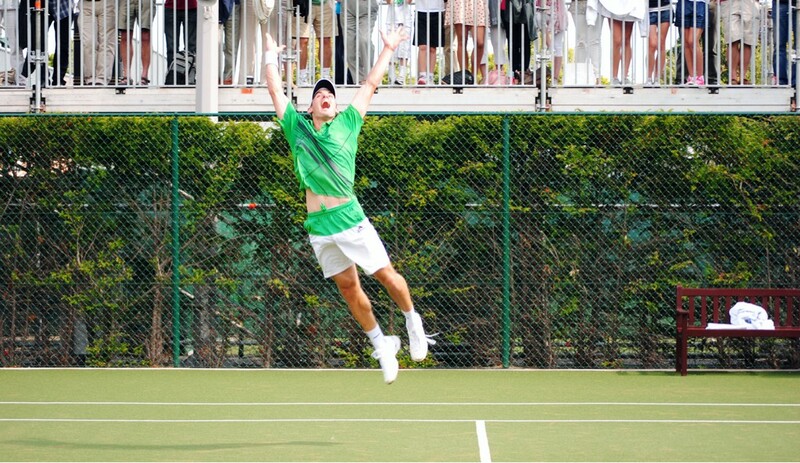 This entry was posted in General and tagged ATP Tour, Irish Tennis, James McGee. Bookmark the permalink.